One of the late romances in Shakespeare's canon, this complex work is at times tragic, at times humorous, but always entertaining and enlightening. Sinead Cusack plays Hermione, and Ciaran Hinda plays Leontes. Eileen Atkins is Paulina and Paul Jesson is Polixenes. Time the Chorus is played by Sir John Gielgud. Thus does Autolycus, the quick-witted and even quicker-tongued rouge of this play, describe himself. And sometimes the same words apply to me. Before I joined Audible as a full-fledged member, the sales and Daily Deals loomed rather largely in my life. I’d snap up books that “looked good” or that I knew would be “good for me”. Thus I have in my library War and Peace (granted, no trifle; I have yet to embark upon), Brave New World (which I enjoyed as far as a nightmare can be enjoyed) and Gulliver’s Travels (which I loathed). And, since December of 2014, I’ve had The Winter’s Tale. After all, it’s Shakespeare, right? Shakespeare is good and good for you, right? And it was only $1.95, if I remember. Yet it languished on my digital shelf for coming on two and a half years. 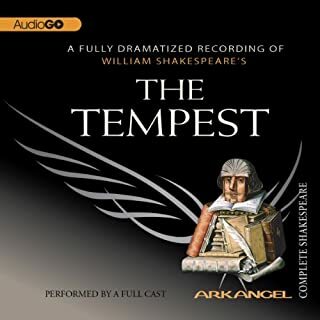 Only when our local (free) Shakespeare Festival chose Winter’s Tale as this summer’s offering did I dig it out and listen. All my objections that had kept me from listening quickly fell away. I thought it would be hard to distinguish the characters without seeing them on stage. Wrong. I feared the plot—in a play such as this, complex, quick, fanciful—would leave me far behind, panting to catch up. Not a problem. I even suspected the acting would be hammy. Quite the opposite. This is a superb production, superbly done. I hadn’t read the play since high school so the story (really a fairy tale) was completely fresh. Somehow Shakespeare managed to take an utterly implausible story (even when reading the scene, I can’t tell from whence Leontes’ baseless suspicions of his wife spring) and make it into something that made me laugh and, yes, even drop a tear. "Is whispering nothing? Is leaning cheek to cheek? is meeting noses? Kissing with inside lip? Stopping the career Of laughter with a sigh?—a note infallible Of breaking honesty;—horsing foot on foot? Skulking in corners? wishing clocks more swift; Hours, minutes; noon, midnight? and all eyes Blind with the pin and web but theirs, theirs only, That would unseen be wicked?—is this nothing? Why, then the world and all that's in't is nothing; The covering sky is nothing; Bohemia nothing; My is nothing; nor nothing have these nothings, If this be nothing." I can see why this play is called "complex" and "problematic." The tone shifts completely from the first act to the last. 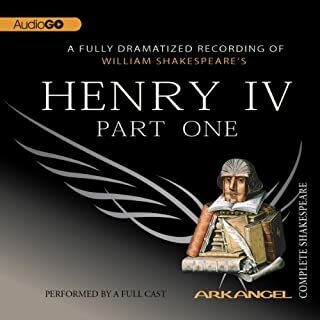 It begins as a tragedy in which King Leontes becomes irrationally convinced that his wife, Hermione, has been committing adultery with his best friend, the King of Bohemia, and that her child is that of Polixenes. 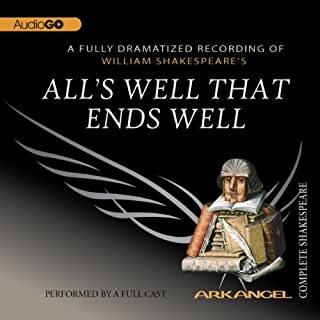 This leads to a lot of death and misery, which makes the final act, in which everyone is reconciled, a miracle occurs, and the play ends with a Happy Ever After more typical of Shakespeare's more straightforward comedies, almost dissonant. That and the fact that it has few of Shakespeare's famous quotable lines is probably the reason why it's one of his less frequently performed plays, but I think it's a great and twisty tale, and if the ending was a bit deux ex machina, it's still rich in humor and tragedy, and well worth listening to. "Exit, pursued by a bear!" It starts out as a problem play and ends up a problematic, pastoral mess. First, I should disclose, and probably have before, that I'm not a fan of Shakespeare's plays with songs. I'd even complain about the songs in A Midsummer Nights Dream if it wasn't such a damn fine play. But my main issue with this play isn't the music, the play is just uneven. It starts off crazynuts (in a good way): a mad/jealous king striking out at everything (friends, wives, counselors) and it moves through: lost and found children, mistaken identities, and reconciliations/reincarnations. However, it all ties off a bit TOO easy. I'm sure the uneven melodrama might play well in front of an half-drunk audience, I just didn't buy it. It left me feeling a bit cheap and used. I wasn't sure if I was supposed to laugh, grumble, or clap at the end. Meh. I'd probably give the play two stars except for the use of d!ldos (‘Jump her and thump her’?) and bears in the play. I guess, if you are going to throw EVERYTHING into a play, you might as well toss in rubber toys and Ursus Shakespearimus. 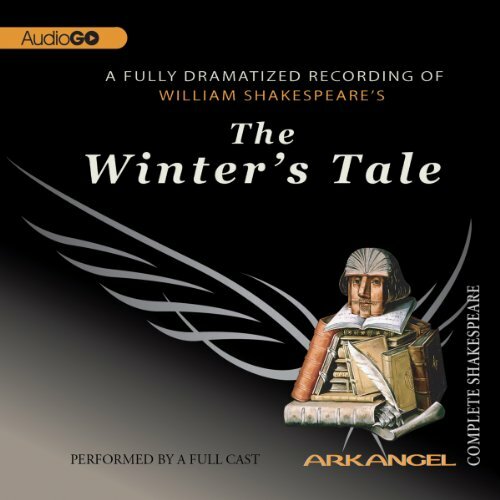 Would you listen to The Winter's Tale again? Why? I will listen to The Winter's Tale again in a year or two. Shakespeare was the master of the English language--his witticism and story telling ability is masterful. While this story is not one of his better known ones, its still very good and worth the listen. The cast did a fantastic job emoting the story without having to see them. 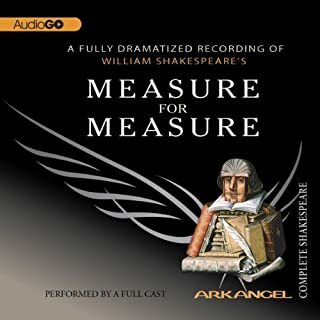 I did not know this play at all, although I really love Shakespeare. Beautiful cast and wonderfully performed! You won't be disappointed. If you could sum up The Winter's Tale in three words, what would they be? A world class audio performance of a seldom performed work by The Bard. The pacing throughout the work was excellent. Yes, this has undoubtedly been edited, but most performances of Shakespeare are trimmed for the stage as well. The interplay between Gielgud and Cusack is very good. The entire ensemble is very well cast. An excellent choice for a broad audio library! 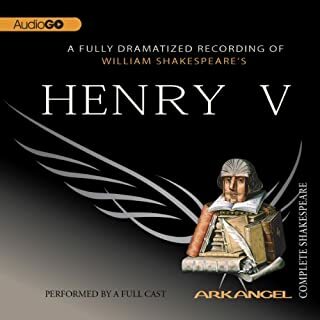 I listened to the Arkangel audio while reading the play in E Book format from Delphi Complete Works of William Shakespeare. According to the Delphi book the main plot of the play was taken from a pastoral romance – Pandosto by Robert Greene p. in 1588. This is known as a Comedy although the first half of the play resembles more of a tragedy as two Kings who are friends find themselves at odds, one King (Leontes) falsely accuses the other (Polixenes) as having sired a child with his wife. Polixenes flees for his own Kingdom and when Leontes is proven wrong the harm has already been done. Years past and we find ourselves now in Polixenes country and this is where the most enjoyable scenes of the play take place. The music and songs are delightful and we even have a rogue for this one, very entertaining indeed. I don't know where the title comes from as it actually has nothing in common with the work but all the same it was a flawless, entertaining play. A full cast performance and they were brilliant. I liked the play format and the narration was good. I also really enjoyed the first part of the play; the King's madness is quite evident in this portrayal. I found that part of the story very interesting and captivating. Then we got to the last half of the play and I could not have been more bored. I don't know if it was the story line or the old language, but I didn't know what they were talking about some of the time nor did I care. I rate the first half of the play a 4 and the second half a 2, for an overall rating of 3.